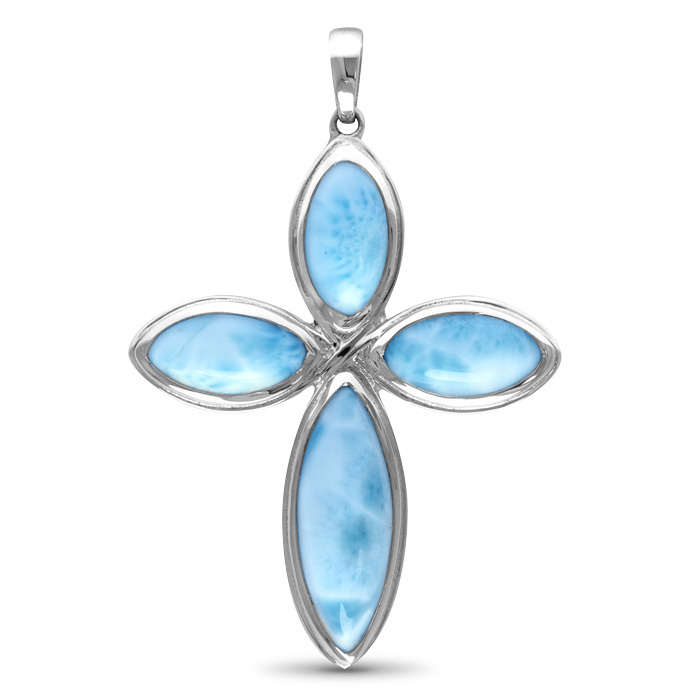 Four graceful ovals of luminous larimar come together in our Cross necklace to form a perfect cross that reflects your deepest faith and beliefs. 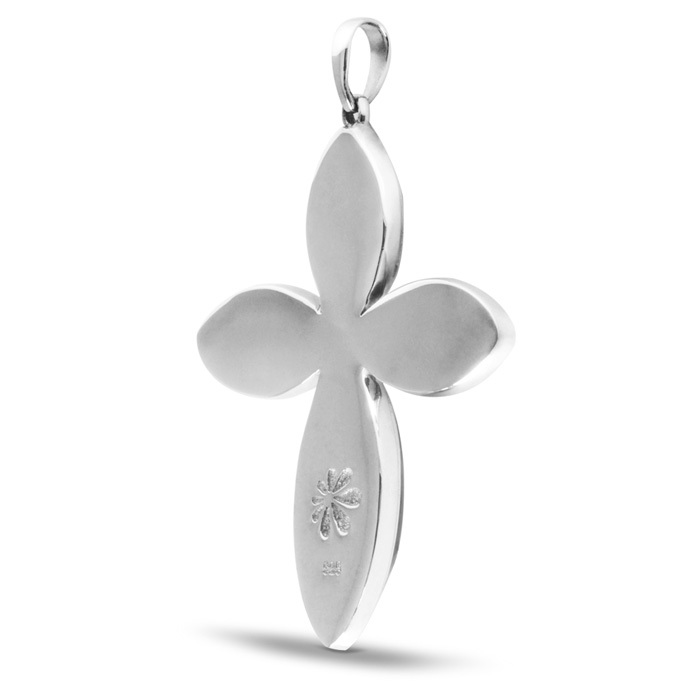 Sparkling sterling silver winds around and connects each piece into a perfect whole, elevating your heart. Shine with your faith! Product Details: Three 5x10mm and one 8x19mm larimar gemstones and sterling silver. Comes with an adjustable 21” sterling silver chain with an easy, sliding mechanism and lobster clasp that you can set to the perfect length for your look!